How should we measure the success of a church? Often we judge an assembly based on the appearance of its building. However, God can do great things: in a old wooden building, in a new brick building, in a storefront, in a warehouse, in an abandoned movie theater, in a house, in a big church, in a little church, in a mega church, in the open air. God is not limited by the facilities of a church. I want the First Christian Church of DeQueen to be a successful church. I want us to grow; I want to see people saved and baptized every week; I want to increase our mission giving; I want a full-time ministry staff; I want all of those things that we normally consider as successful. However, we can have a church with: the most members, the highest Sunday school attendance, tons of money, and give more to missions than anyone else. We can have all of this and not be a successful church. If we are to be successful, we cannot measure success by nickels, noses, and numbers. We must measure our success based on what we read in the Bible. In Acts, we see the power of the Holy Spirit that the early church possessed. In the midst of persecution and troubles, we read that the Church grew and multiplied without a church building. They met in the courtyard, they met in homes, and persecution caused them to disperse rather than assemble in large congregations and facilities. Nevertheless, the early church possessed all of the characteristics of a successful and growing church during very difficult circumstances. 1 Thessalonians 5:23-28 May God himself, the God of peace, sanctify you through and through. May your whole spirit, soul and body be kept blameless at the coming of our Lord Jesus Christ. The one who calls you is faithful and he will do it. Brothers, pray for us. Greet all the brothers with a holy kiss. I charge you before the Lord to have this letter read to all the brothers. The grace of our Lord Jesus Christ be with you. 1. THE MEMBERS LIVE GODLY LIVES (vv. 23-24 May God himself, the God of peace, sanctify you through and through. May your whole spirit, soul and body be kept blameless at the coming of our Lord Jesus Christ. The one who calls you is faithful and he will do it.). The testimony and power of a church is often destroyed because the members live irresponsible and ungodly lives. Our church’s reputation is determined by how we conduct ourselves in this community. That is our witness. We are either good or bad witnesses of Jesus Christ by our conduct outside the church building. People will not want to attend our services if our lives don’t show that Jesus is living in us. The good news, it is possible for us to live godly lives that honor the Lord and are a good testimony of His church. Godliness is not an impossible dream. It can be a reality in our lives because God is faithful, He desires it, and He will make it happen as we obey the Holy Spirit. The question is: do we want to live godly lives? If not, don’t expect this church to be successful, but it won’t be God’s fault. We have no excuse for not being successful. Praying members are vital to a growing, successful, and powerful church. Paul requested that prayers be made for him and that they be motivated by the bonds of brotherly love. If you want to see a successful church today, don't look for: The biggest buildings, the tallest steeples, the most cars in the parking lot, or the most programs. If you want to see a church that God uses, look for a church that prays! Unfortunately, many people want lots of programs, charismatic preachers, loud worship, busy youth groups, and they don’t look for a church that prays. If we don’t want to pray, then don’t expect to be a successful church. We may grow in numbers without prayer by appealing to people’s fleshly desires, but we will become a religious group that has a form of godliness, but denies the power that the early Christian church had. That is not success! 3. THE MEMBERS LOVE EACH OTHER, CREATING UNITY (v.26 Greet all the brothers with a holy kiss. ). Satan's goal for the Church is destruction. Satan will attempt to destroy this church by sowing seeds of discord, because factions cause a church to self-destruct. 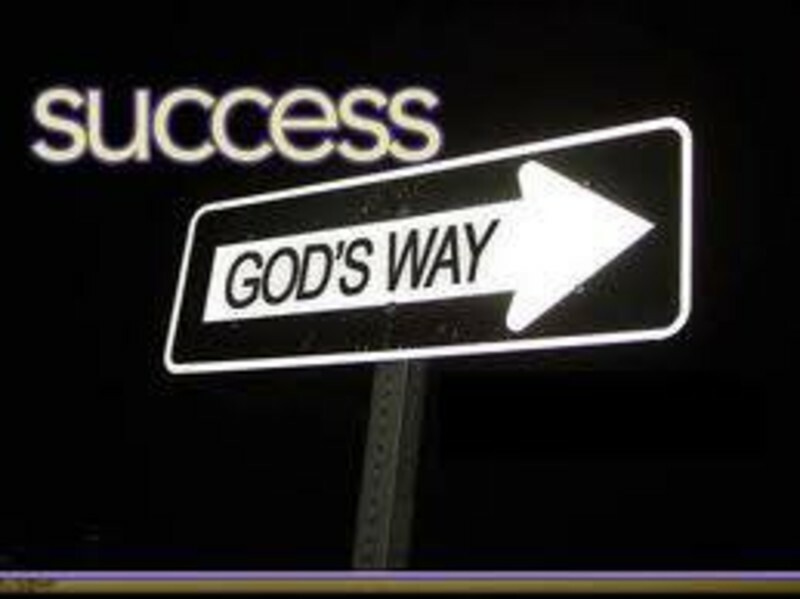 How can we be successful for God while under Satan’s attack? By having unity that is created by love for one another! God’s love is greater than Satan’s discord. This takes some effort, but it is effort that will be rewarded by God. If we disagree, love will cause us to be humble, gentle, and patient with each other while God brings us into complete agreement with Himself. Ephesians 4:1-6 As a prisoner for the Lord, then, I urge you to live a life worthy of the calling you have received. Be completely humble and gentle; be patient, bearing with one another in love. Make every effort to keep the unity of the Spirit through the bond of peace. There is one body and one Spirit--just as you were called to one hope when you were called-- one Lord, one faith, one baptism; one God and Father of all, who is over all and through all and in all. A greeting of Christian love toward fellow believers should be real and void of hypocrisy. Growing churches are known for the warm fellowship and hospitality of their members. This love is only possible by the presence of the Holy Spirit in a believer’s life. Therefore, be filled with the Spirit. No church can be successful in God’s sight apart from a serious study of God’s Word. Each member must learn as much of the God’s word as he can. The Bible teaches us how to live profitably and pleasing to God. It isn’t until we have applied that knowledge that we begin to gain understanding. “Knowledge” tells us only what has happened. “Understanding” tells us why. We gain understanding only if we intentionally live by the Word of God. We can spend our entire life gaining knowledge but we will have no understanding if we don’t do what it says. Spiritual understanding will cause us to love God more, to resist temptation, to mature through trials, and protect us from being deceived by the errors of those around us. Some of us are trying to spiritually develop by coming to church and sitting through preaching once a week. I’m delighted you do that, but you will never grow if that is all you do. Spiritual understanding is not developed by watching or listening but by practice and exercise. Likewise, if all you do is read your Bible, you are only watching and listening. You must practice and exercise the truths you read in order to develop spiritually. The grace of God is essential for both salvation and for Christian living. Salvation comes by grace through faith in Jesus Christ, not by anything we do. Likewise, the grace of God enables us to continue in the Christian life and become more like Christ by empowering us with the Holy Spirit. As the image of Christ is reflected in our lives by the Holy Spirit, people will be drawn to Jesus and to this church. It is by the grace of God that a church is successful and growing, not by a clever marketing plan. After all, it is the "grace of our Lord Jesus Christ." That is, this grace has its origin and example in the Lord Jesus Christ Himself, who possessed the Holy Spirit. Jesus sent the Holy Spirit to be in us after He ascended to the Father. And, this grace is a sustaining grace. The Lord gives grace for every trial, if we will humble ourselves before Him. James 4:6 But he gives us more grace. That is why Scripture says: "God opposes the proud but gives grace to the humble." Lastly, it is a sufficient grace. The grace of the Lord is sufficient for any need and trouble that we may have. 2 Cor 12:9-10 But he said to me, "My grace is sufficient for you, for my power is made perfect in weakness." Therefore I will boast all the more gladly about my weaknesses, so that Christ's power may rest on me. That is why, for Christ's sake, I delight in weaknesses, in insults, in hardships, in persecutions, in difficulties. For when I am weak, then I am strong. Now that we have looked at some of the characteristics of a successful church, let’s look at an example of a successful and growing Church. Read Acts 12. Notice the injustice and persecution the Church had to endure. Their hardships included imprisonment and death. Notice also the Church met in a home and in several other places. Notice they met to pray, and prayer was made without ceasing unto God for their leader, Peter. Amidst all the persecution that they were facing, this group was united. They joined together for the cause of Christ. Because the church was united in a spirit of love, God worked a great miracle as a result of their prayers. The intensity that these people prayed with illustrates the great faith that they possessed. It is not enough just to voice a prayer, we must pray with FAITH! They could have easily given up. They could have looked at Herod's power and said that the odds were too great against them. They could have looked at what Herod did to James and said, “See, we can't stop him. He will kill all of us.” Instead, THEY ENDURED IN PRAYER!! So many times we offer up a prayer and if it is not answered immediately, we just give up! Brothers and sisters, if we are going to be a successful church that God can use, we must endure persecution and endure in prayer!! Notice the results of their prayers. Not only was Peter miraculously released by God, the Word of God grew and multiplied. Furthermore, after Peter was released, Herod was killed by worms. God wiped out the man who was the enemy of His people. Instead of the people seeing Peter killed, they saw him released and Herod killed. Notice: The church did their part, God did His part, and as a result "the word of God grew and multiplied". When we are a church that has unity, prayer, faith, endurance, THEN the "Word of God will increase" and the church will grow and be successful! The early church was a church that spread the good news of Jesus Christ, WE MUST DO THE SAME! 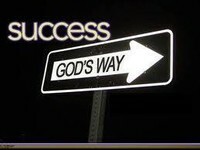 That is the only way to successfully grow God’s Church. Notice the last verse of Acts 12. After this incident of Peter’s miraculous release, there was more work to do. In the very next chapter, Paul, Barnabas, and Mark are sent out from the Church at Antioch as missionaries to other cities and nations. When a successful church grows, it sends out missionaries to fulfill the Commission Jesus Christ gave to the Church—to go and make disciples. It doesn’t accumulate wealth and build monumental structures to glorify itself and become comfortable. A successful church loves to see someone saved! There are no words to describe that wonderful event. But there is more to it! After people are saved, they need to be discipled. Discipleship doesn't happen overnight. It requires an investment of time into a new believer. Honestly, it is just as exciting for me to see a believer mature in the faith as it is to see one saved. If we are going to be successful for God, this First Christian Church of DeQueen must make disciples, who can go and make more disciples! While large attendances, financial, and material resources are helpful, they are not the main elements that truly promote spiritual growth and create a successful church. Spiritual growth not only changes our habits, its changes our personalities. It transforms us into the Body of Christ as each of us becomes conformed to the image of Christ. Only through spiritual growth can we become a successful and growing church. Brothers and sisters, if each one of us will: live godly lives, pray for our leaders and workers, love one another, seriously study the Bible and do what it says, and rely on God’s sufficient grace to conform us to the image of Jesus by the power of the Holy Spirit, then the Lord will bless our church with the increase and success that we long for. Will you do your part? Will you begin praying? Will you begin reading your Bible and applying it to your life? Will you love your brother and sister even when you don’t agree with them? Will you seek the Holy Spirit daily and do what Jesus would do? Will you tell others about Jesus Christ and what He can do for them? Until we do these things, we will not grow spiritually or numerically, no matter what kind of building we meet in! If you have been visiting this church for a while, I hope you can see some of these characteristics for a successful church developing. Admittedly, we still need to grow spiritually and mature before we can expect to grow numerically. However, part of what we need is the gifts of the Spirit that you can bring to this congregation. I pray the Holy Spirit is leading you to join with us today so that together we can become a successful church by the grace of God. If you are not yet a Christian, then the Holy Spirit is leading you to give your life to Jesus Christ and become part of His Church. Repent of being in control of your own life and give it to Jesus. Confess your sin and believe that Jesus atoned for your sin on the Cross. Confess Jesus as Lord and Savior and let Him give you a new life through water baptism and rebirth by the Holy Spirit.